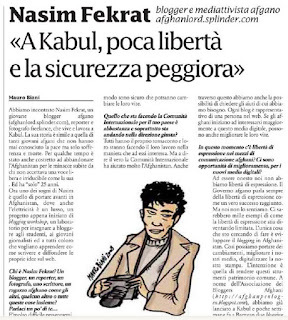 Here is an interview with me in Liberazione newspaper for the communist party in Italy. The interview is translated from English to Italian Language, you can find in this link. Also you can read it in Mauro Biani's blog, he is an Italian famous cartoonist. I appreciate Mauro who worked on this interview to be published in Liberazione.